Video Game Storybundle 3.0 – the best yet? 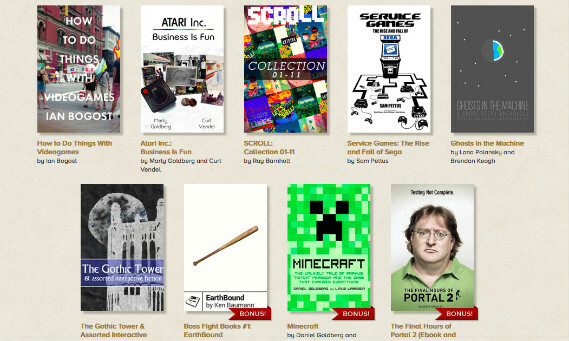 Back in May 2013, I teamed up with Jason Chen at Storybundle to curate the first Video Game Storybundle – a veritable cornucopia of great DRM-free video game eBooks, from Ralph Baer to Jordan Mechner and beyond – and it was a success. Last November we did it again, with Video Game Storybundle 2.0 – another palpable hit, again available for a limited time only, this time including a bonus game (Ian Bogost’s ‘A Slow Year’), and a whole bunch of other high-quality tomes. After another few months, we’re back – with the spectacular Video Game Storybundle 3.0 – once again beamable directly to your Kindle or available in multiple DRM-free ways, and available in Storybundle’s customary ‘pay what you want’ stylee. I honestly think this may be the best Video Game Storybundle yet – and we’ve gone beyond books again too, with specially commissioned interactive fiction from Ryan Veeder & the Steam key for Geoff Keighley’s excellent ‘The Last Hours Of Portal 2’. Continuing its popular “pay what you want” ebook bundles, StoryBundle is proud to present the Video Game Bundle 3.0. The specially curated set of nine full-length game culture & history books/magazines follows up two previous multi-thousand selling digital bundles. It once again features almost $100 worth of books & magazines—plus narrative apps and interactive fiction—for a fraction of that price. The basic purchase tier ($3 or above) for Video Game Bundle #3, again curated by game industry veteran Simon Carless, includes academic and designer Ian Bogost’s witty tome How To Do Things With Videogames, alongside Marty Goldberg and Curt Vendel’s massive, canonical Atari Inc.: Business Is Fun, a romp through the history of the seminal video game company up to 1984. Also featured in the bundle are the first 11 (!) issues of Ray Barnholt’s acclaimed SCROLL magazine, described as “video game history uncorked”, and featuring deep dives into developers from Jaleco through Artdink to Warp and beyond. Elsewhere featured are Ghosts In The Machine, a collection of 13 short stories “by a diverse group of videogame critics, journalists and artists about the bugs, glitches and design quirks of videogames and what they can tell us about ourselves”, plus Sam Pettus’ Service Games: The Rise & Fall Of Sega, dealing with the Genesis and Dreamcast maker’s storied history. The final books—available at the higher payment tier of $12 or your local equivalent—include some spectacular picks. Featured is Boss Fight Books #1: Earthbound by Ken Baumann, “a joyful tornado of history, criticism, and memoir” profiling the Super Nintendo RPG classic. The Bundle is available for a very limited time only, via http://www.storybundle.com, and allows easy reading on computers, mobile devices and Kindles via file transfer, email, or other methods, with multiple DRM-free formats (.epub, .mobi, some .pdf) available for each book. 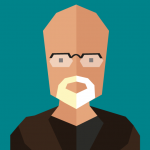 This entry was posted in Game Biz Discussion, The New Age Of Curation by simonc. Bookmark the permalink.